These easy Foam Math Cards “hit the spot” when you want to add something new to your Math center! 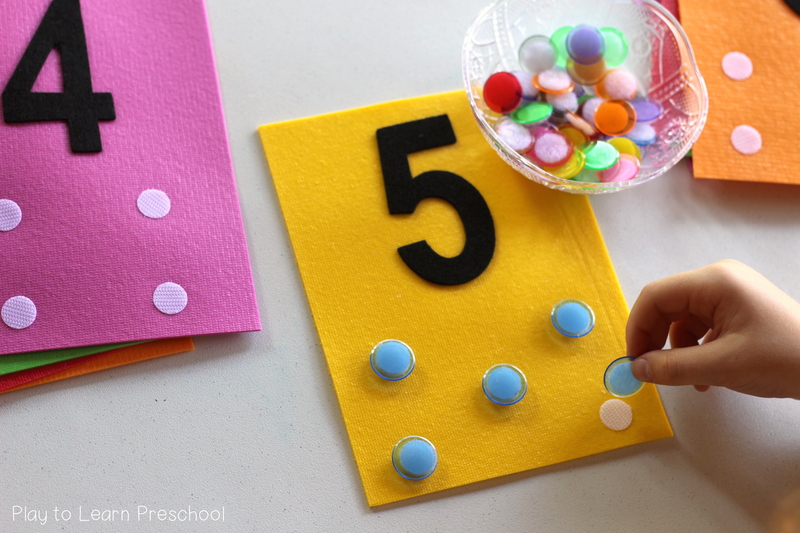 This activity invites students to take some time for independent, hands-on practice on one-to-one correspondence and other counting skills. The Foam Math Cards are a snap to put together with a few simple supplies found in most classrooms. Just in case you’re running low, though, we have included a few links. 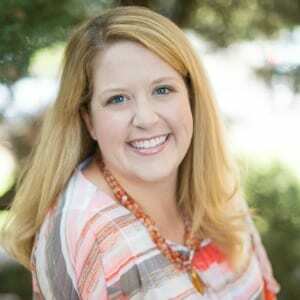 Be sure to demonstrate how to use the center to the students. For example, the teacher can start with “I see the number five. (counting the dots on the card) 1, 2, 3, 4, 5. I will need five chips for the five dots.” Then the teacher should take the chips one at a time, counting aloud as she places each one on a dot. Encouraging the students to trace the numeral with their fingers can help reinforce those early writing skills as well! Learning one-to-one correspondence is an essential math skill for preschoolers to master. They are learning that the numbers they can say correspond to actual quantities of items. For example, when the teacher says, “Just take two cookies please,” a child who has mastered one-to-one correspondence can decode the numeral two and take the appropriate number of cookies. A child that needs more practice might be able to count by rote but will skip over items while counting, or count the same object more than once. 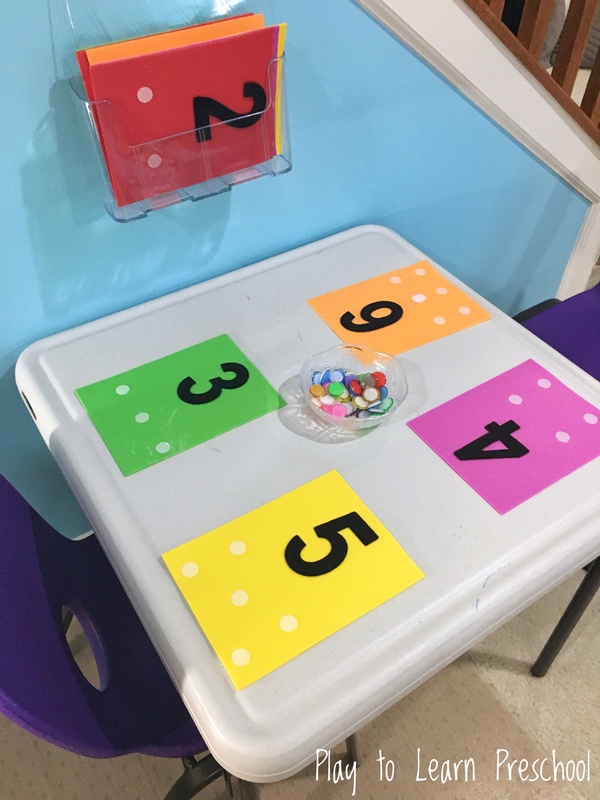 This center allows them to practice taking the abstract numbers and equate them to concrete objects in an easy and fun way. The added components of the rough and fuzzy Velcro, smooth bingo chips, and fuzzy numbers adds a sensory component for your more tactile learners. What a hands-on way to learn such a tricky concept!